Obituary for Maryln S. Rastl | McCombs Funeral Home Inc.
Maryln S. Rastl, 68, of Cape Girardeau, passed away Wednesday, Oct. 31, 2018, at Landmark Hospital in Cape Girardeau. She was born July 24, 1950 on a farm near Pocahontas, to Raymond and Margie Wilson Rastl. When Maryln was three years old, her father passed away. Her mother later married Wilbert “Wib” Reisenbichler. Maryln grew up near Pocahontas, was baptized at St John’s Lutheran Church and confirmed at Zion Lutheran Church, both in Pocahontas. 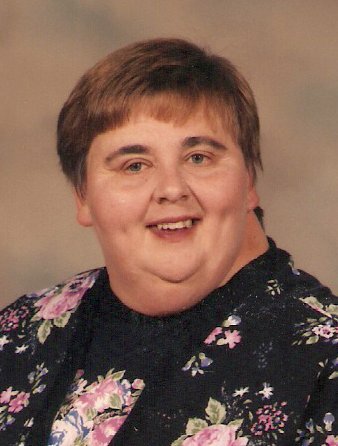 She was a longtime member of St. Andrew’s Lutheran Church in Cape Girardeau where she was active in different church activities, such as Stephen ministries. She was a 1968 graduate of Jackson High School and received a Bachelor degree in Early Childhood Education from SEMO. In her younger years, Maryln was a long-time member of the Pocahontas 4-H Club where she earned many awards. She also served as an instructor for other 4-H club members who wanted to learn knitting. She worked many years as a clerk for Pocahontas grocery store and after a change in ownership, moved to Cape Girardeau to continue her education. Maryln worked for the Community Counseling Center in Cape Girardeau. Loving survivors include a brother, Vernon (Juvy) Reisenbichler of St. Louis; a niece, Godiva Reisenbichler of Los Angeles, California; and a nephew, Christopher Reisenbichler of St. Louis. She was preceded in death by her father, mother, and stepfather. Visitation will be from 4-7 pm Friday, Nov. 2, 2018 at McCombs Funeral Home and Cremation Center in Jackson. Funeral service will be 1:30 pm Saturday, Nov. 3, 2018 at the funeral home in Jackson with Rev. Mark Martin officiating. Interment will follow in St. John’s Lutheran Cemetery in Pocahontas. Memorials may take the form of contributions to St. Andrew’s Lutheran Church in Cape Girardeau.